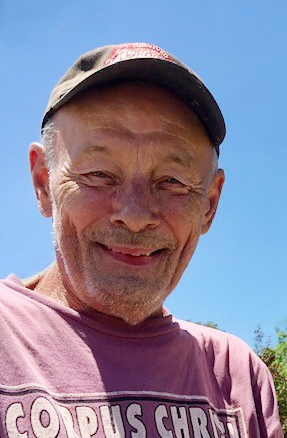 William L. “Bill” Kunkel, 72, New Salem, passed away March 26, 2019 at Sanford Health, Bismarck, after a 6-week battle with lung cancer. A funeral service will be held on Saturday, April 13 at 2 PM at Buehler-Larson Funeral Home, Mandan. The family will be receiving friends one hour prior to the service. Burial will be at the North Dakota Veterans Cemetery, south of Mandan. Bill was born July 29, 1946 in Bismarck to Lorenz and Martha (Vellios) Kunkel. He attended country school south of New Salem and later New Salem High School, graduating in 1964. Bill served in the 816th Engineer Company of the North Dakota National Guard and was honorably discharged in December 1971. On October 26, 1968 he married Joyce Wetzel at Glen Ullin. They made their home in New Salem and welcomed three sons, Jeff, Mike, and Joey. Bill delivered gas for Rud Oil Company of New Salem and later hauled milk for Kautzman Trucking. He made many friends on his routes and enjoyed visiting with all his customers. In retirement, Bill had a small painting business, which again gave him opportunities to visit with his customers. He liked to visit! Bill enjoyed fishing in his spare time and especially loved taking his sons and grandsons fishing. He always planted a big garden and sold some produce but gave most of it away to friends and family. Bill also enjoyed watching Nascar racing. Bill is survived by his sons, Jeff Kunkel, Mandan, Mike (Kim) Kunkel, Lincoln, and Joey (Miranda) Kunkel, New Salem and six grandchildren, Jalen, Jordan, Devon, Dayton, Alexa, and Troye. Bill would have welcomed his first great granddaughter, Baby Girl Linde, in August. Step-grandchildren include, Dillan, Courtney, Noah, Dominic, Ayden and Sophia. Bill’s siblings are Bonnie Maier, New Salem, Judy Kroh, Bismarck, and Dave Kunkel, Grand Junction, CO. He is survived by nephews and nieces, Stacy, Jeremy, Deanna, Travis, Dana, and Laura. Bill was preceded in death by his parents; his niece, Michelle; and his nephew, Damian.